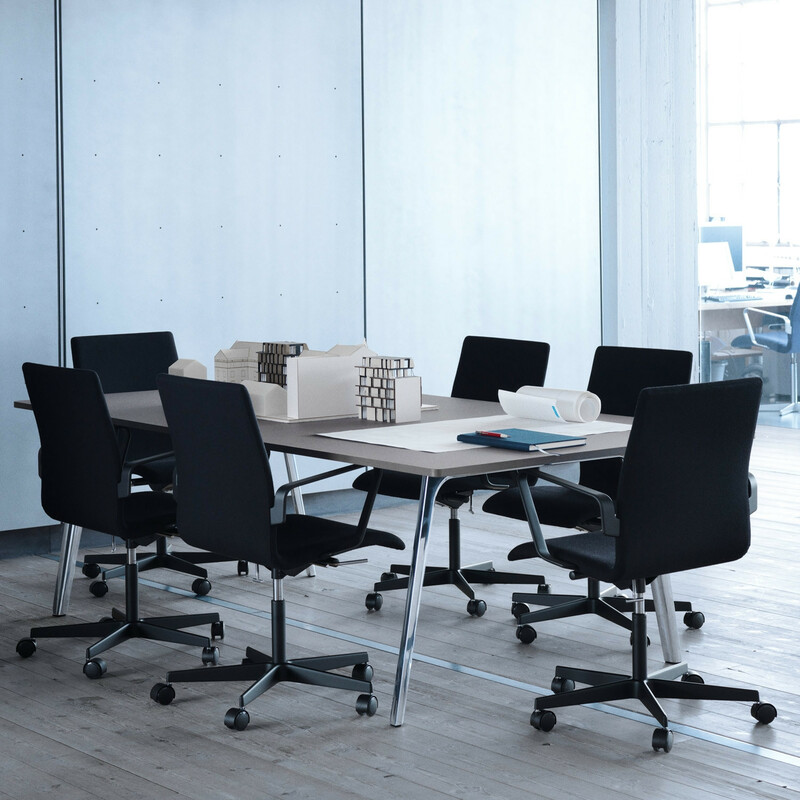 Pluralis™ Table designed by Kasper Salto is one of the latest pieces for the Republic of Fritz Hansen. 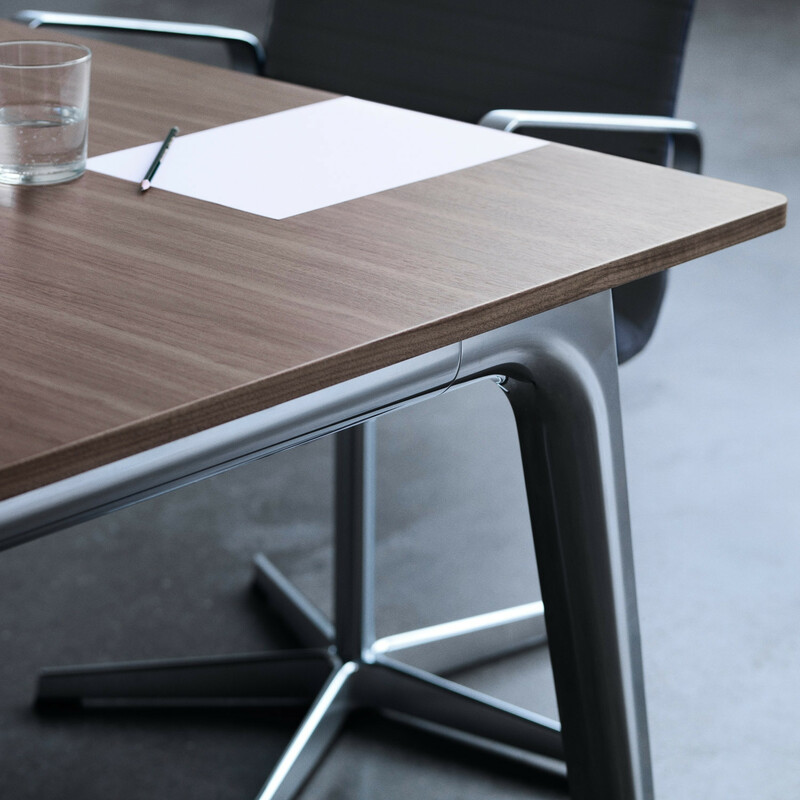 This meeting table solution offers a multitude of possibilities and a unique combination of clear styling, sincere expression and functional features, such as the optional cable management bridge, so you always have power for your phone, tablet or AV to hand. 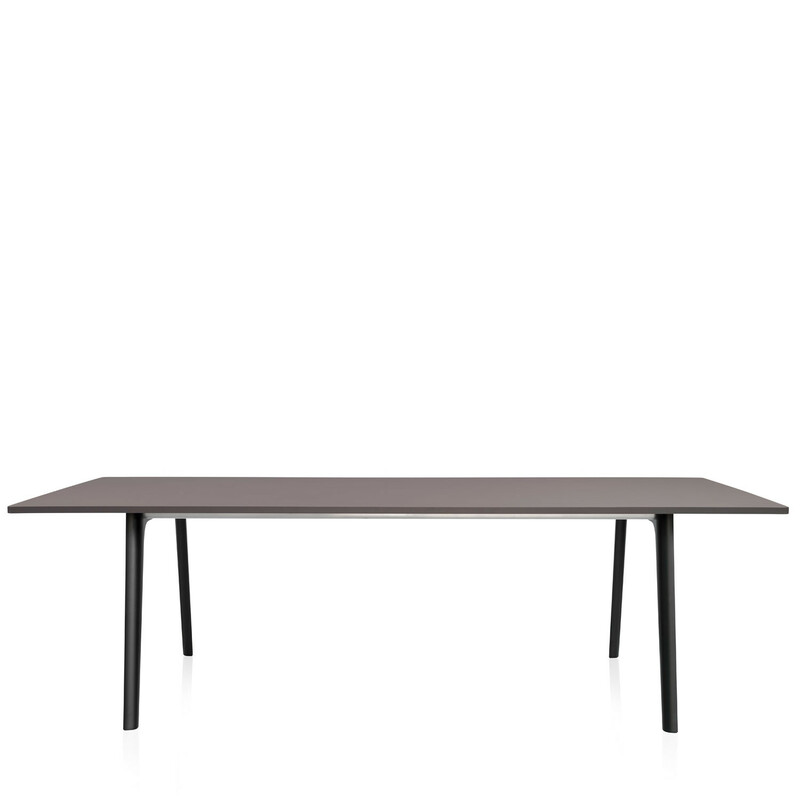 The Pluralis table top comes in laminate and veneer and consists of a chipboard core and matching ABS edge band of either 20 or 22 cm. The base is crafted in pressure die casted aluminium and the rails are extruded aluminium. It is available in a polished aluminium or powder coated in black IGP lacquer. The table is mounted with glides. View more furniture by Republic of Fritz Hansen. You are requesting a price for the "Pluralis™ Meeting Table"
To create a new project and add "Pluralis™ Meeting Table" to it please click the button below. 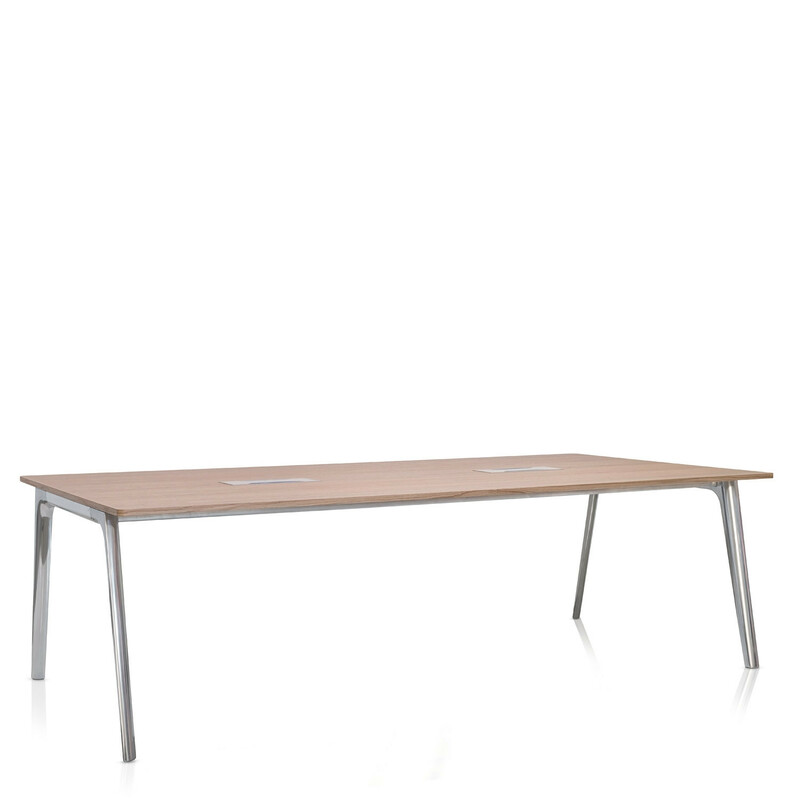 To add "Pluralis™ Meeting Table" to an existing project please select below.